On Stage Productions is a non profit organization which relies solely on the patronage of community theatre lovers like you. 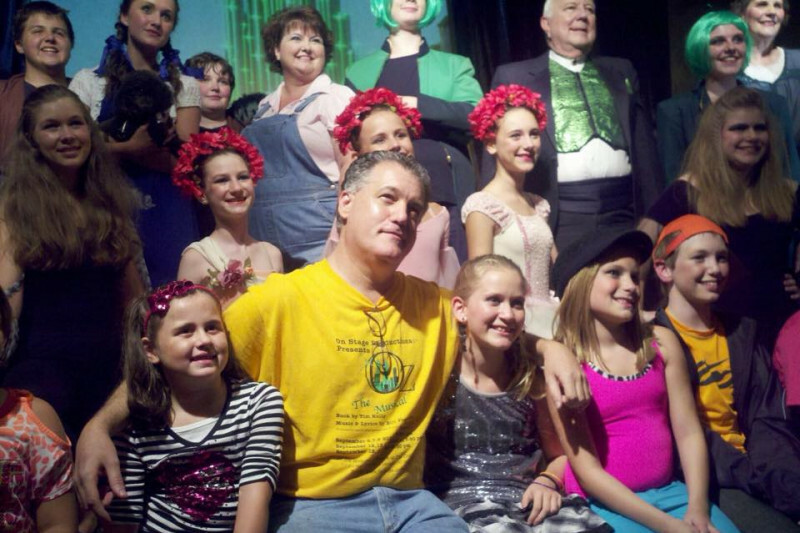 On Stage Productions has been bringing theater opportunities to the Columbia community for over 10 years. We have just moved from our West Columbia location to our new home at The Old Mill in Lexington, Lower Level. Many volunteer manpower hours have been, and are still going towards getting our new home ready for our new 2017-18 Season! THANK YOU SO MUCH TO OUR FAMILY OF VOLUNTEERS !! We could not do without you although we are in much need of building up our budget so that we can clean, paint, build-out, install new flooring and update some much needed equipment to continue to bring you top-notch professional theater productions for audiences of all ages. 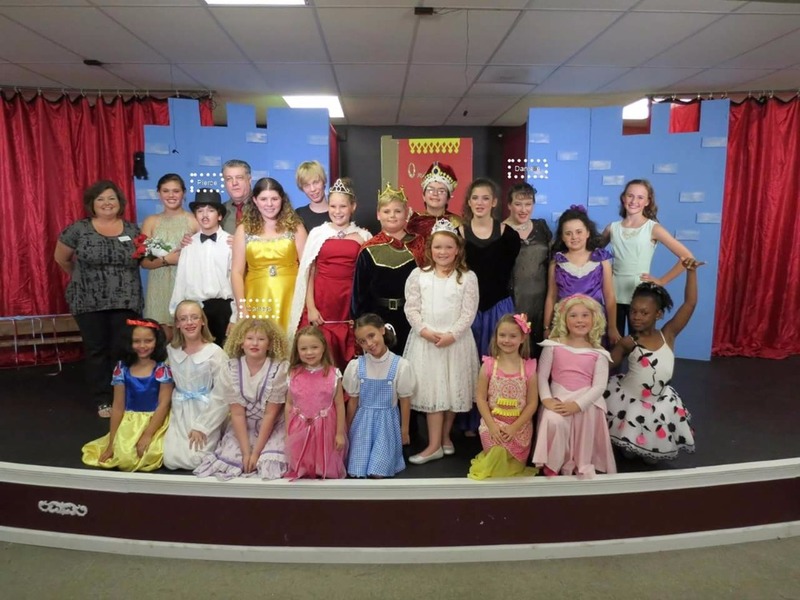 On Stage Productions has given many opportunities to children and adults alike through their participation on the stage; through voice, dance, and acting. We offer everyone a chance to audition, learn and perform, and we don't want these offerings to be lost for so many. Our Workshops provide many Children the opportunity to get on stage and perform. Often, this opportunity leads to many new things: socializing, confidence, team-building, respect for others and building self-esteem; you never know where the future will take them. All children deserve a chance to shine, and children participating in our Workshops have accomplished that with amazing results! Theater can turn into a self-therapy tool and helps children and adults connect with their emotions. Theatre exposes kids to other cultures and traditions, which allows them to develop. They learn social values and are always capable of appreciating and respecting other experiences and realities. We plan to continue the educational oppurtunities as well. Our Summer Workshop is just beginning with Disney’s The Jungle Book Kids We have much to complete before the show goes up July 20. Creating a space for a nonprofit theater is a huge undertaking and includes big expenses such as stage, lighting, sound systems, and audience seating to name a few! On Stage Productions has an exciting new season planned and we also have several exciting “additional” surprises that we will be rolling out through the season, new performance options like: more Workshop offerings with one-on-one training, more performance opportunities for actors, dancers and singers, and more entertainment venues and options for our audiences! You will love what we have in store for you over the next year ! But we definitely need your help to make this happen. We have volunteers who have dedicated their time to making our new home “livable”, they are assembling the stage, putting in the seats, building out walls, painting, cleaning, organizing the costumes, prop, flats and furniture; We have the heart, passion, and drive to make this all happen because we love our theater FAMILY! What we don’t have is the funds to get our new home ready to perform in for an audience. Please help our dream and become reality. On Stage Productions is a non-profit organization, a 501c3 organization, with hardworking volunteers who dedicate their time and energy because of their love, dedication and belief in the transformative powers of local community theatre! We continue to provide opportunities for diverse and creative participation within the theatre arts for both children and adults of varying abilities to reach new heights! Please consider giving any amount! How about $10 for our 10 years of offering great theatre; That would be a great start! $50…$100…Remember, we are appreciative for any amount donated because it all adds up! Gifts of $200 or more will have a significant impact on making our dreams come true much faster. Those who give that generously will be recognized in our lobby given, season tickets , and recieve recognition in the playbill as benefactors for our new location. We offer 3 Package Donation Levels !! On Stage Productions is a non-profit organization which provides community enrichment by inspiring, engaging and respecting those involved in its shows. We desire to meet the needs of the community by providing diverse and creative participation within the theatre arts for both children and adults of varying abilities to reach new stages. Comunity Theatre Lovers Everywhere ! Please help On Stage Productions continue to thrive by passing this on to any of your friends who want to support The Arts! Thanks Everyone for your support and wonderful kindness ! I am so excited for you all to see the new space come together. Everyone has been so generous and supportive. We still have a long way to go to meet our goal. Please take the time to help anyway you can .. .. I am very passionate about theatre and would like to continuie to give back to the Lexington / Columbia area for a long time to come !! Thanks Everyone for Helping On Stage Productions to continue to grow and see the Youth of Tommorrw prosper.